Chef Héctor Colón and his culinary masters are turning up the flavor and inviting you to experience unique eats and distinct beverages from around the world. 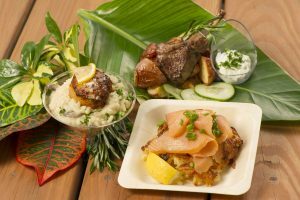 Complete with 11 global markets, discover more than 60 unique Asian, Latin, European, Polynesian and North Atlantic dishes throughout the park. An array of wine, specialty cocktails and over 55 local and international craft brews will be featured as well. Pick up a sampling pass (bonus, the portions are quite large!) and can enjoy 10 items for $40 or 15 for $55. Selections will change throughout the festival so there’s always more to explore. In addition to the market stops, the event will feature a wide array of BBQ and comfort cuisine including Slow Smoked Ribs, caramelized in a SeaWorld original BBQ sauce, Pulled Pork Mac & Cheese and a Grilled Kielbasa Sausage Sandwich. Craft brew and BBQ are pairing up! Smokey, spicy, sweet or tangy, our culinary masters are firing up the grill to satisfy every craving. 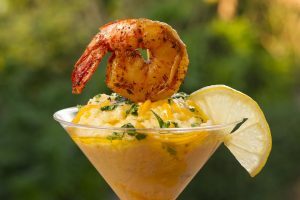 Flavors travel south and the pathway heats up as Latin infused cuisine complements the sounds on the Main Stage. Choo Choo Soul Performing at SeaWorld Orlando! SeaWorld Alliance with Guy Harvey Perks Conservation Effort! Run Down to the Catwalk of Hope! Comic-Con Celebrates Star Trek Turning 50!